When the question arose, thought processes & assumptions were made. The studies that were focused on in particular were the studies of 3 previously discovered fossils. One was known as “Ardi” which was discovered in Ethiopia. All three discoveries were claimed to be humanoid in features, but the likely hood of them being just apes is now a distinct possibility. Was “Ardi” a human or an ape? 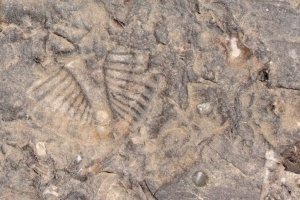 In papers written by Bernard Wood and his colleague Harrison, it was determined that nothing can be certain on what was previously thought about fossils that have been discovered. Many of the techniques used by palaeontologists are not complete and cannot give the accurate findings. The paper also discusses that Wood and Harrison looked more towards the physical features of many different species. Another example they researched about was the relationship between the wings of a bird and the wings of a bat. Wood and Harrison simply want archaeologists and palaeoanthropologists in the world to know that you might need to look seriously and a little deeper than just the surface of many fossils they might eventually come across. Science(Oct. 11, 2010) — University of Florida researchers presenting new fossil evidence of an exceptionally well-preserved 55-million-year-old North American mammal have found it shares a common ancestor with rodents and primates, including humans. The study, scheduled to appear in the Oct. 11 online edition of the Zoological Journal of the Linnean Society, describes the cranial anatomy of the extinct mammal, Labidolemur kayi. High resolution CT scans of the specimens allowed researchers to study minute details in the skull, including bone structures smaller than one-tenth of a millimeter. Similarities in bone features with other mammals show L. kayi‘s living relatives are rodents, rabbits, flying lemurs, tree shrews and primates. Doug Boyer of Stony Brook University is also a co-author of the study, part of the team’s larger research to understand the relationships of apatemyids to other mammals. Bloch and colleagues are currently writing a detailed analysis of L. kayi‘s skeleton.